This short focal ratio refracting telescope from Bresser is an ideal instrument for those who want a quick "grab and go" instrument for wide field deep sky observation. This diminutive scope really packs a deceptively large punch for deep sky observation, as its unobstructed aperture gives superb contrast. While the telescope's design features ED glass, it is not in the Apochromatic range of colour correction, but still gives a good account of itself for moderate power observations of the Moon and brighter planets. But for wide field sweeping of the Milky Way and viewing objects like M31, the Bresser Messier AR-102xs/460 is a great choice. 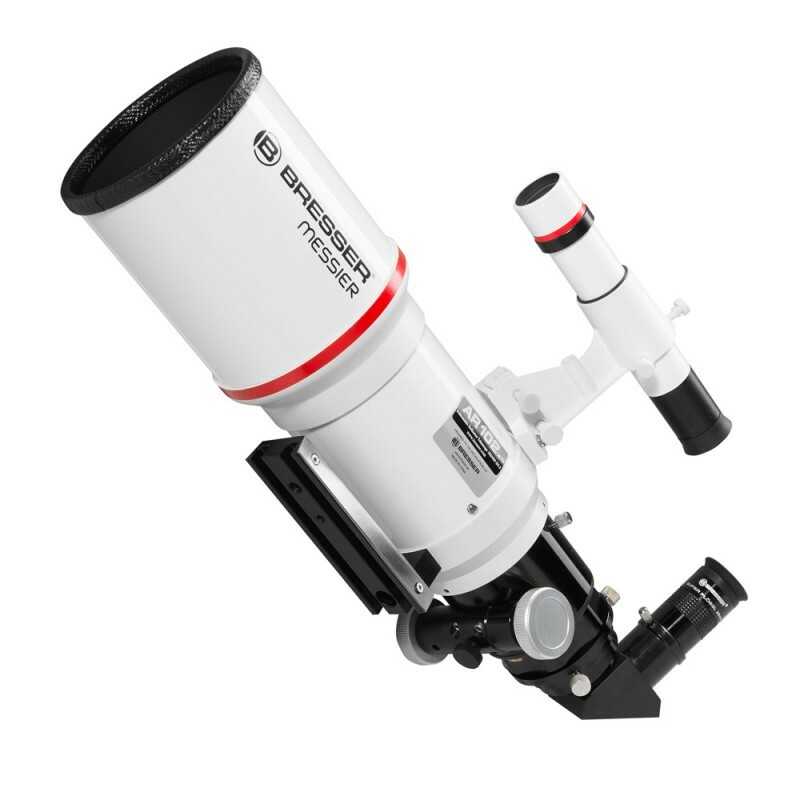 The telescope comes complete with Bresser's innovative "no image shift" Hexfocus 2" low profile rack and pinion focuser, which can support a much larger payload than an equivalent Crayford style focuser. Its 2.5" clear aperture drawtube will prevent vignetting in even full frame DSLR cameras. This single speed option can be upgraded to a dual speed control knob, for finer focusing. The telescope also comes with a 2" to 1.25" step down ring, a 1.25" diagonal and 1.25" Bresser 25mm Plossl design eyepiece. The telescope is also supplied with a lightweight 6x30mm straight through finderscope. The Bresser AR-102xs can be mounted on most commercially available mounts as it is supplied with a standard Vixen/Synta style mounting foot. This telescope is only an optical tube assembly, supplied without mount and tripod.